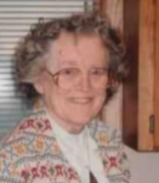 Newton, KS -94- Evelyn Carol Steiner Dodge passed away at Kansas Christian Home on April 3, 2018. Evelyn was born on December 12, 1923 in Cyril, OK to WL and Marie (Hornbaker) Steiner. In 1941 she graduated Cyril High School. She obtained her BA at Phillips University in Enid, OK, then went on to complete her MA in Christian Education at Texas Christian University. She worked as a Bible teacher in Pulaski, VA and Portland Oregon. On August 25, 1955 she married Dale C. Dodge in Cyril, OK. She went on to work as a missionary in Hazel Green, KY while raising her two sons in Washington, IA, Danville, IA, Mcalester, OK and Guthrie, OK then proceeded with her career as a Christian Ed director at Riverside Christian Church in Wichita, KS. Evelyn was ordained at Riverside and worked as a Chaplain of Kansas Christian Home and later volunteered as an interim until she retired. Evelyn loved helping others and was a wonderful listener. She is preceded in death by her husband Dale, her parents, her granddaughter Torie Anne, her sister Hazel and her brother Arthur. She is survived by her sons Philip and wife Cynthia Dodge of Dudor, Hungary and Andrew Dodge of Wichita, KS and her sisters Ruth of Cyril, OK and Dorthea of Mt. Hood, OR. The family wanted to express their thanks and appreciation to friends and extended family for their act of kindness prayers and other expressions of sympathy and love shown at this time. A memorial service will be held Saturday, April 14, 2018 at 1:30pm at First Christian Church Newton, KS with burial happening at a later date. Memorial contributions may be made to Kansas Christian Home in care of Petersen Funeral Home.